If you suffer an injury as a result of broken glass either due to a broken windowpane or broken glass on a floor or table or other situation we will help you seek the compensation for your injuries and losses. Glass lacerations particularly those involving windows can be severe and result in disfiguring scars as well as nerve damage. We would help you recover compensation not only for your pain and suffering and any scarring but also all and any financial losses that may have arisen as a result of the incident. We would look to bring your claim against whichever party was responsible for the maintenance. 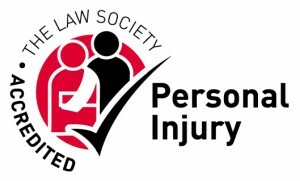 If the accident occurred when you were in a restaurant or pub or other similar environment then the claim would be brought against the establishment as it is their responsibility, under the Occupiers’ Liability Act, to ensure that they take all reasonable steps to ensure your safety while on the premises. This would include making sure that the broken glass was not lying around to cause you injury. If the accident happened at work the claim would be against your employers as they are under a duty to ensure your safety while at work and again this includes making sure broken glass is not around to cause you harm. Whatever the circumstances and location of your accident we can help you claim the compensation that you deserve. Our personal injury solicitors have the knowledge and experience to make sure that your claim is dealt with as efficiently as possible and that the level of compensation you receive is maximised. We can deal with your claim on a no win no fee basis so that if your claim is not successful then you will not have to pay us for the work we have done on your behalf (subject to our terms and conditions).